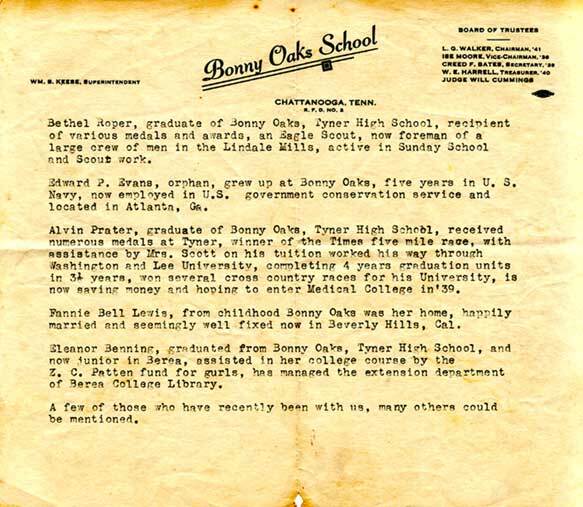 Estimated 1938 - Bonny Oaks School letterhead stationary. 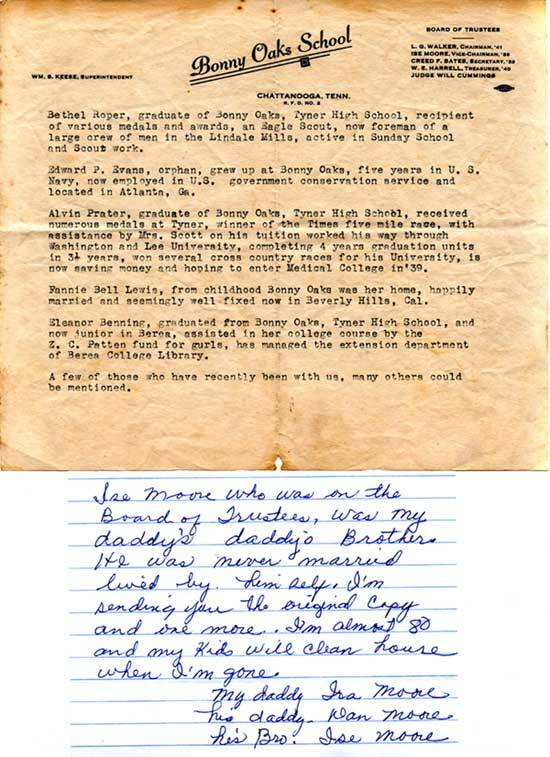 Typed "notes" on the letterhead, possibly for a newspaper article. 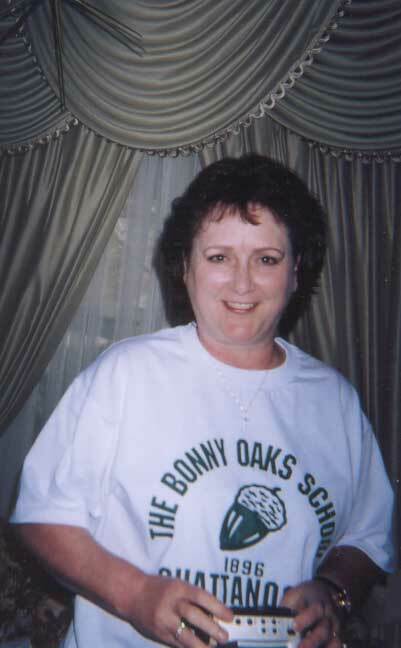 Ms. Mildred Corvin of Chattanooga, Tennessee, is the grandniece of Ise Moore, who served on the Bonny Oaks Board of Trustees in 1938. 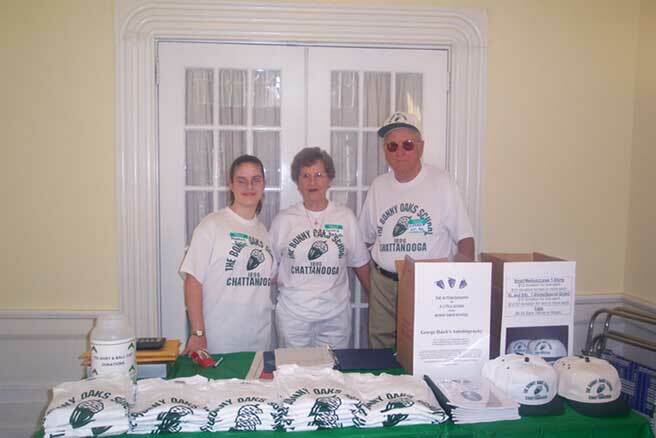 He is pictured in the 50th Anniversary Booklet on the "Reunions" page. 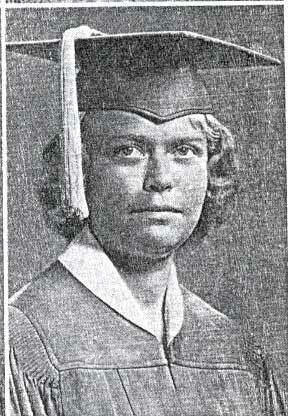 Ms. Corvin forwarded the letterhead, along with her note, to Mr. Adamson for preservation. Christine Haven - Taken by Mr. Adamson. 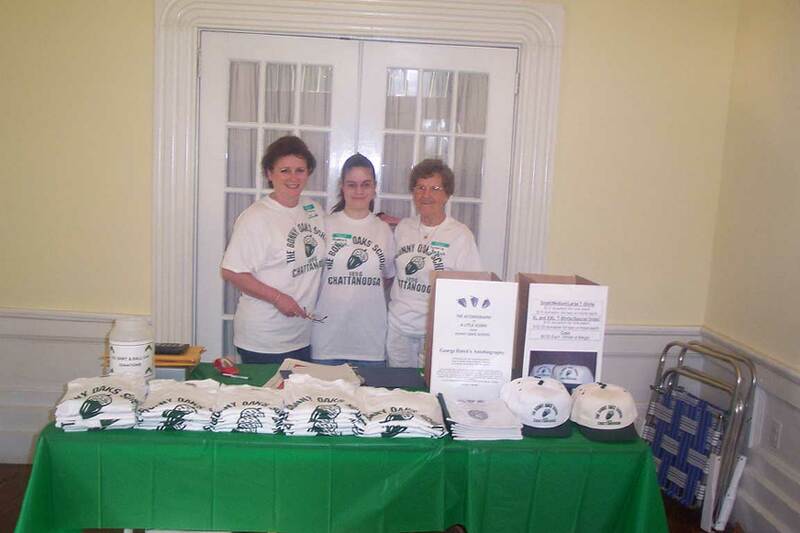 (l-r) Hannah Hatch, Connie Hatch and George Hatch, manning the t-shirt, caps, autobiography table at Reunion 2002, the Dent House. Exceptional, exceptional job! 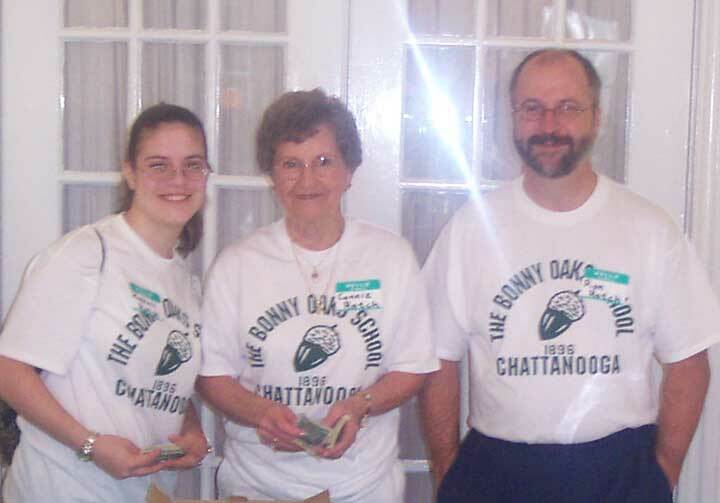 Hannah Hatch, Connie Hatch, and Hannah's father, Ron Hatch. 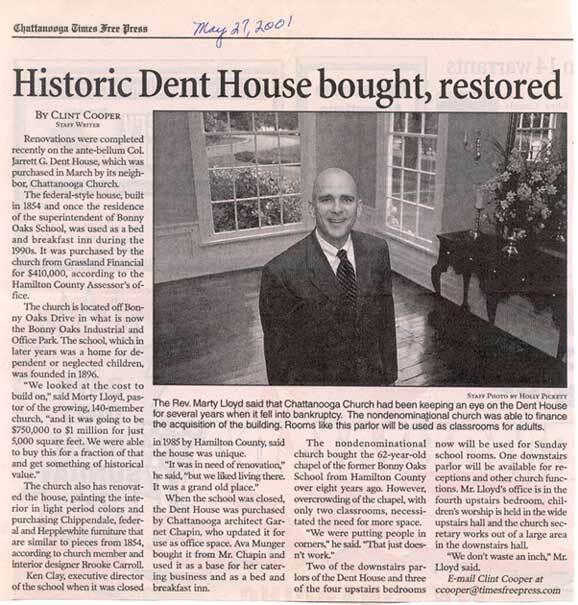 May 27, 2001 Newspaper article interviewing Morty Lloyd- "Historic Dent House Bought, Restored".